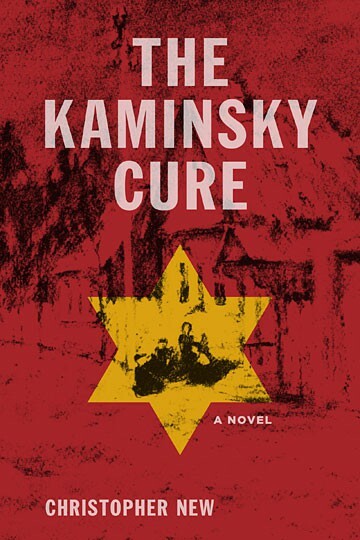 Thus begins the innocent narration of The Kaminsky Cure, a poignant yet comedic novel of a half Jewish/half Christian family caught up in the machinery of Hitler’s final solution. The matriarch, Gabi, was born Jewish but converted to Christianity in her teens. The patriarch, Willibald, is a Luthern minister who, on one hand is a proud Aryan, but on the other hand, the conflicted father of children who are half-Jewish. Mindful and resentful of her husband’s ambivalence, Gabi is determined to make sure her children are educated, devising schemes to keep them in school even after learning that any child less than 100% Aryan will eventually be kept from completing education. She even hires tutors who are willing to teach half-Jewish children and in this way comes to hire Fraulein Kaminsky who shows Gabi how to cure her frustration and rage: to keep her mouth filled with water until the urge to scream or rant has passed. Christopher New was born in England and educated at Oxford and Princeton. He is the author of many books, among them The China Coast Trilogy, (the New York Times Bestseller, Shanghai, The Chinese Box, A Change of Flag). These novels have been described as “the definitive account of the British Presence in furthest Asia, and “a literary feat of the highest quality,” and have been widely translated. 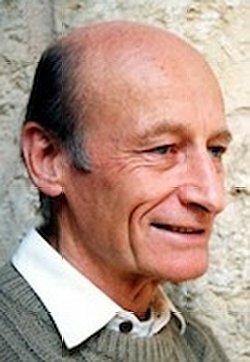 Formerly the head of the Philosophy Department at the University of Hong Kong, Christopher New is the author of The Philosophy of Literature. He divides his time between Bankok and Berlin.